This military t-shirt has it all! 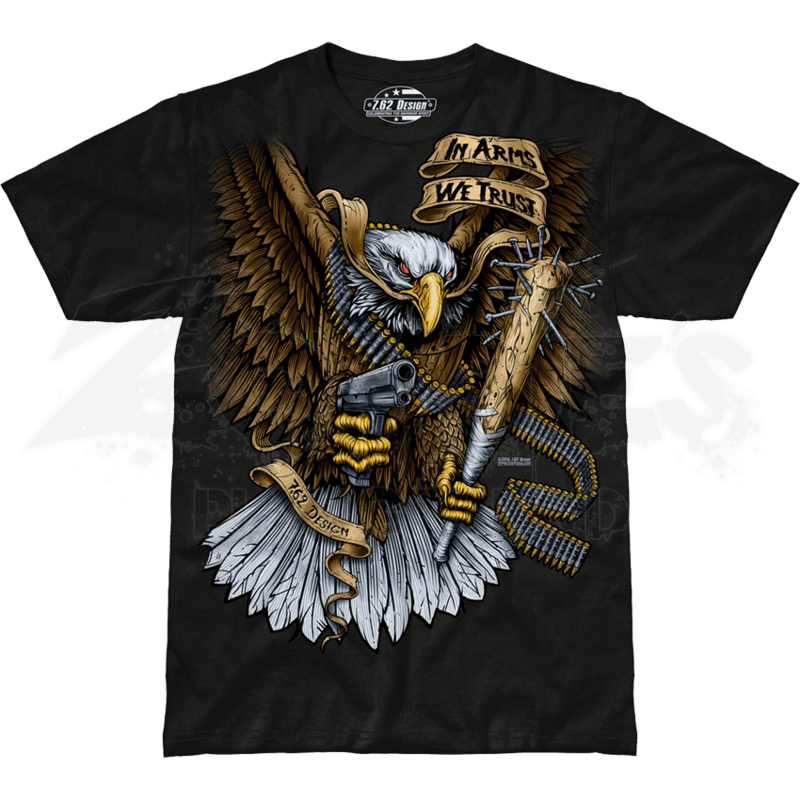 The In Arms We Trust Jumbo Print T-Shirt graphically depicts surprise, speed, and violence of action, featuring an eagle as it swoops down, armed to the teeth and ready to protect freedom. 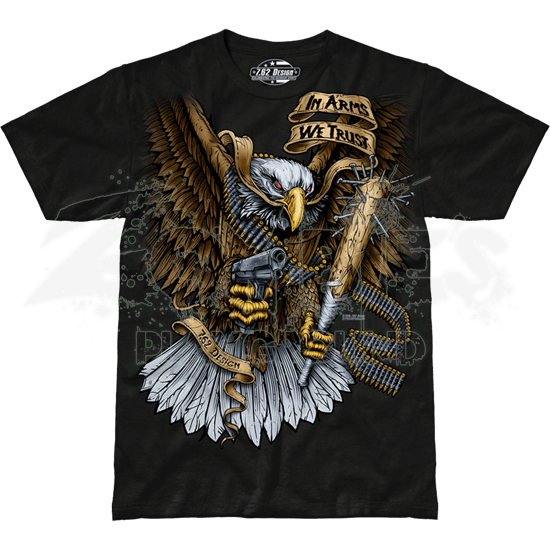 This detailed patriotic shirt displays the eagle with its wings spread and its talons grasping a pistol and a nail-studded bat. A bandolier wraps around its chest and dangles to one side. In its beak, the eagle holds a banner with the message In Arms We Trust. Freedom is one thing in life that must be earned and maintained through strength, and this In Arms We Trust Jumbo Print T-Shirt definitely projects that point perfectly.